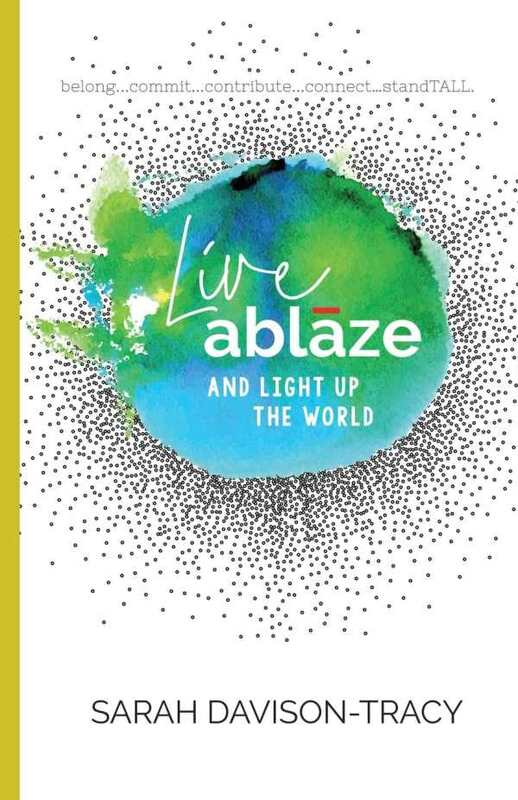 Live Ablaze directs its audiences to a brighter future in a whimsical, inspiring way. Sarah Davison-Tracy’s motivational Live Ablaze encourages passionate living that uses past heartbreaks, hurts, and trauma as a road map to a fuller life. Live Ablaze is designed to help people find their unique purposes, but it is not a typical self-help book—that designation implies that individuals develop on their own. Instead, its perspective is that navigating life alone doesn’t work; people need to put their full energy into building relationships with and connecting to family and friends, and to cultivating personal visions that benefit all. Its pages work to help people heal their pain, identify their purposes, and bring forward their gifts through a demonstrated series of stories and exercises. The book is organized in an easy-to-navigate way to help its audience arrive at their purposes quickly. There are four primary sections, each named after the stages of lighting a fire: Kindling, Flickering, Sparking, and Blazing. Each section contains several short chapters that sequentially build on chapters previous. Each chapter begins with an uplifting poem that foreshadows the point discussed; each ends with a set of exercises to help the discussed ideas sink in. It is easy to stop and start within the book, or to return to a previously read section, as needed. Like a fire, the writing style is warm and enlightening. The book sees beauty in everything, believing that each person has distinctive gifts and individual ways to offer them to the world. Even when life is difficult, the book claims, its challenges help to define a person’s purpose. The book drives such points home in a clear, friendly tone and with a sense of whimsy. Its techniques include capitalizing parts of words for emphasis: “jOURney” emphasizes “our,” and “enJOY,” “enCOURAGE,” and “careFULLY” also have clear double meanings. The book’s language continually reflects its perspectives on connectivity and life’s abundance. The book is roundly persuasive, despite its early acknowledgement that some of its advice may seem “woo-woo,” or unscientific and illogical. Its spiritual advice may not have universal appeal, but its more general points are mind-opening, and it is strong in its push to awaken passion in those lacking it. Implementing its practices promises positive effects. A wonderful motivational book for those who are struggling to find purpose, Live Ablaze directs its audiences to a brighter future.